I love the option for the rice here in Oman.Back in Europe i think we don’t appreciate the taste of it and eat just ordinary rice.Before I came here I knew only about basmati and perhaps spanish version used for cooking paella.Later, I used to live with a guy from Korea who steamed rice every day for breakfast and lunch too. A bit shock to me as we use mainly potatoes as a side dish. Look, how cool is the rice bag displayed in a local supermarket.Has anybody tasted this type of rice and what is the taste like? 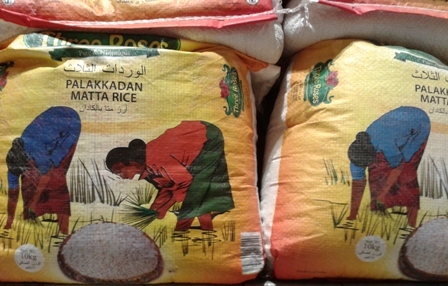 This entry was posted in Uncategorized and tagged rice in oman. Bookmark the permalink.